Most people only think about getting life insurance when they are too old to get it at a reasonable price. Over 40% of Americans have no life insurance at all. Of the 60% that do have life insurance, only about 15% of Americans acquire long-term life insurance coverage. Most Americans are underinsured and get life insurance through their job. While it’s better than nothing, employer-sponsored health insurance has extreme limitations when it comes to comprehensive coverage. The most affordable way to get life insurance is to get it when you are young and healthy. Young, healthy people are more likely to pay life insurance premiums for decades. Older people are closer to the end of their natural lives, compared to younger people. They are more likely to experience injury, disease, and physical and mental decline as they age. Life insurance companies charge more to older, unhealthy applicants because of the financial risk they pose in terms of potential payouts. 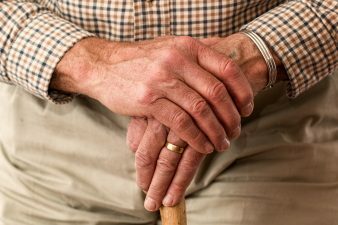 A 40-year old with a $500,000, 20-year term life insurance policy might pay around $50-a-month in premium, depending on the policy and company. A 65-year old might pay as much as $500 for a monthly premium. Of course, premium rates vary from company to company. The hard truth is that the longer that you wait to get life insurance, the more expensive it will be. However, just because you’re a senior citizen in need of life insurance, doesn’t mean that you are out of options. If you are in relatively good health, it won’t be hard to find relatively cheaper life insurance policies via term life. You can get term life insurance for finite periods of time. For instance, you can buy a 10-year, $150,000 policy that lasts only for a decade. If you outlive the predetermined coverage by ten years and a second, then the policy becomes void. You either go without coverage again or start all over. If you buy a new 5-year, 10-year, or 15-year term, you’ll have to pay more as you’ll be even older. The good news is you can lock in your premium for the life of the policy. Guaranteed Universal Life Insurance, which is also known as “No-Lapse Life Insurance,” is kind of a hybrid between the best parts of term life and permanent life. GUL guarantees rates and a predetermined coverage period based on an age range instead of years. So, instead of paying for a 10-year or 20-year term, you can pay for coverage until age 89, 99, or 100. This kind of life insurance coverage is usually marketed to senior citizens on late-night TV. You can lock in premium rates similar to term life rates. GUL coverage policies may not have a cash value component, so you can’t leverage them against a loan. Also, if you miss a payment, the premium rate might increase. Burial life insurance is a bare-bones version of a whole life insurance policy to pay for burial expenses. Your beneficiary should use any available cash value to pay off your funeral expenses. Burial life insurance is very affordable if you acquire a $20,000 policy. You can qualify over the phone and pay tens of dollars a month in premium. Most burial insurance policies are marketed toward senior citizens. This is a kind of a last-chance type of life insurance policy to guarantee funeral expenses. There are many benefits to getting older. Senior citizen discounts. Enjoying memories of a life lived well. This time of life is not the prime moment to get life insurance for the first time, however. You may want to enlist the help of an agent or broker to make sure you get the best policy for your needs. Life Insurance Without an Exam?